They’re magical! Those times when you’re not thinking about what comes next but only about how beautiful the current moment is. You can’t really conjure them at will, but you can create the circumstances that allow them. That is what David did for us in Italy. His experience, his contacts, his instincts, his ideas, his lovely low-key spirit allowed us to escape the anxiety of having to manage the logistics of our two weeks in Italy. 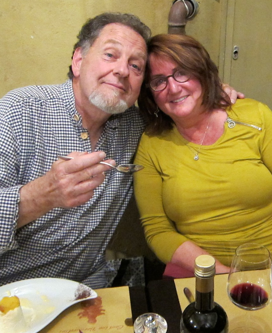 We spent our first five days with David on the Ligurian Riviera and Lucca and then rented an apartment in a 14th century farmhouse in Chianti (also recommended by David) from which he escorted us every few days to wonderful towns and marvelous meals. David took the time to email us ahead of time to find out what our general interests were and then designed a set of excursions that seamlessly matched them. Those magical moments for us? The ferry ride back from Monterosso al Mare to Riomaggiore after visiting all the towns of the Cinque Terre; the moonlit walk along the lighted path to the seaside restaurant in Zoagli; dinner at Lombardo’s in the hills outside of Lucca; standing at the edge of a marble quarry above Carrara; watching the sunset from Montallegro; the cooking class and dinner with Stefania; wine with the crowd at Dario’s in Panzano; a wedding we happened upon in the tiny medieval town of Fosdinovo. . . Thank you David! Italy is about beauty, pleasure and the art of living well—but you might miss it if you're in a tangle of maps with one hand on the steering wheel listening to confusing directions from the GPS. You'll miss it if you spend valuable travel time anxiously thumbing back and forth through heavy paperback guidebooks to find the perfect restaurant, hotel or scenic vista. 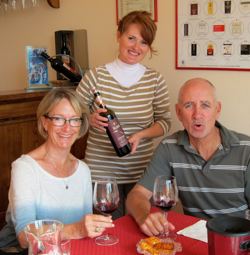 By engaging David Beatty as our guide on a recent 10-day tour of Tuscany, four friends and I were able, instead, to focus all our senses on la bella vita. David's knowledge, patience and flexibility made it possible for us to make leisurely walks through outdoor markets, linger over dinner in leafy restaurant gardens and explore the art and history of ancient hill towns at our own pace. David elegantly juggled confusing travel details; changes in weather or our changing plans for the day. He took us behind the scenes, introduced us to local artisans and helped us with laundromats, pharmacies, packaging wine and more. 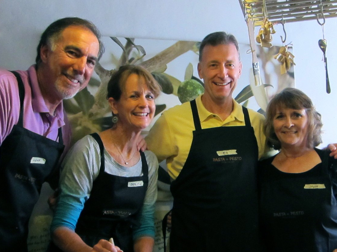 We credit David's easygoing manner and expertise for giving us lasting memories of the best of Italy. David, thanks so much for showing us around Italy! 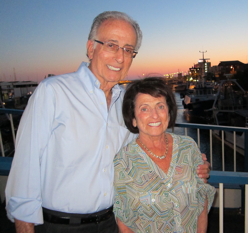 You were instrumental in making this one of the most memorable trips of our lives. We are so glad that we were not trying to drive around by ourselves. But beyond your driving skills, we want to thank you for showing us some places we would never have found on our own. It was great meeting the cheese man and Nora, the cashmere goat farmer. One of our favorite evenings was the cooking class spent with Stefania who taught us how to prepare such a delicious meal. We also loved every single one of the vineyards you took us to and the restaurants you suggested. Our trip had a little bit of everything and you were a big part of adding a wonderful variety to the normal sightseeing. It was also great getting to know you, David. We feel we have a friend in Italy and we look forward to seeing you again. Thanks again for everything! David, the day we spent with you was truly the highlight of our time in Italy. Whenever anyone asks about our trip, the places we visited with you are the first thing we talk about. We will always have fond memories of Nora, Dario, Francesca and you, of course. We hope to return some day and will certainly spend our time more wisely—less city and more country. 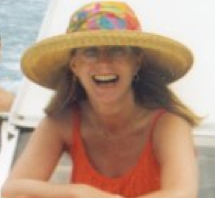 I loved Rome and Florence, but the Chianti countryside was the best. (Not so much a fan of Positano: gorgeous but too crowded, noisy and smelly with all the buses and scooters.) I long for a return to Italy! I am so grateful we found you; in addition to the wonderful day we came away with valuable lessons learned on how best to travel. Thank you. 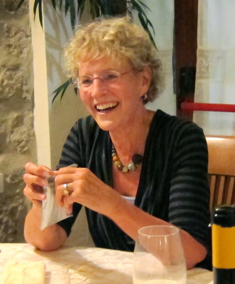 If you want to experience authentic Tuscany, consider seeing the region with David Beatty. David has a deep affection for the Tuscan countryside and he knows it well. Considerable mutual respect is evident in the relationships he has developed with the locals and he moves easily in places not commonly frequented by tourists, which allows him to share experiences of Tuscany that provide insight into the lives and ventures of the people who live there. He is also an infallible guide to superb food and wines. Every meal was a delight both in content and setting, including some off-the-beaten-path restaurants that would be difficult to find without him. David made it clear from the start that he was responsible for solving any problems that might arise. And he was true to his word. It was delightful to be able to leave both the driving and the worrying to him and be free to enjoy the sensual and cultural pleasures of Tuscany that he opened to us. 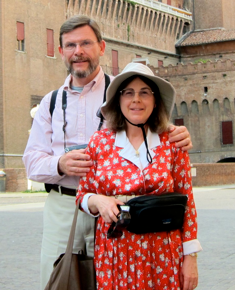 My husband and I hired David Beatty this summer to transport us between Venice and Bologna, with an intermediate stop David recommended in the fascinating town of Ferrara. We found David punctual, very flexible, and highly helpful. He accompanied us through a very long day and drove us pleasantly and efficiently from place to place Although David did not claim to be a tour guide, he prepared a series of Bologna walking tours for us to choose from, reserved lunch for us at an excellent restaurant, and led us through prime attractions and out-of-the-way gems in the towns we visited--and, importantly, was familiar with the routes and rules for getting in and out of complicated Venice. 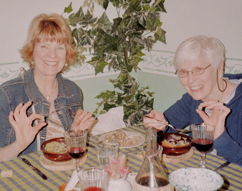 For anyone who would like to get to Italian attractions on and off the beaten path in comfortable and efficient fashion, we highly recommend David Beatty! The fickle finger of fate. That is the only way to explain the good fortune of having David take and guide us through the Chianti and Tuscan countryside. Life is collecting memories and because of David we have wonderful memories of all the unique things he made possible during our time together. He made our trip to Italy much more meaningful and enjoyable. 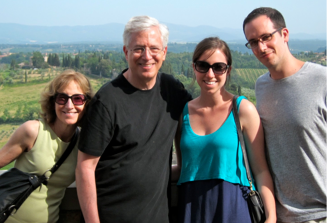 Our family just returned from visiting Florence and the Tuscan countryside. One of the best decisions we made was to abandon our plan to drive in the Chianti region and instead hire David Beatty to be our driver and guide. Once we figured out what the car rental costs would be (automatic transmission cars are sky high!) and factored in insurance, gas, parking, the possibility of straying into a ZTL, etc, it made great sense to let David drive so we could completely enjoy our vacation. He was a wonderful tour guide, taking us to destinations we would never have found on our own. We had private tours of a vineyard in Montalcino, a high-end leather factory in Greve, a sustainable cashmere goat farm in Radda, and visited many of the smaller, less-touristy towns. We generally planned our days in advance by email, but then David tailored our daily travels depending on what we felt like doing. The name of his company, Follow Your Nose…, pretty much explains our relaxed itinerary. And we were able to sample lots of wine along the way without worrying about handling those curvy hill town roads! He also provided transfer service for the 4 of us from Florence at a rate competitive to the van services. David is very knowledgeable, low-key and a pleasure to be with. We did not know about David before arriving in Italy. Staying in Florence but wanting to experience Dario Cecchini’s Antica Macelleria in Panzano, we inquired about transportation. 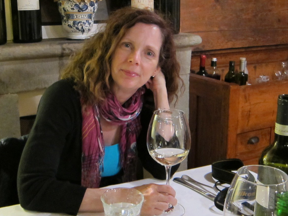 Kim Cecchini recommended David and our ‘transportation’ turned out to be a gracious, thoughtful and accommodating guide. The simple trip turned into a wonderful experience that was all the better for David’s presence. When we plan our return to Italy, David will be first on our list to contact. 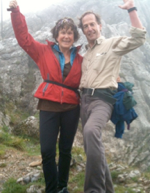 We spent a few days of a three week vacation to Europe traveling with David Beatty. By the time we got to him we were tourist crowd-weary and ready for a different pace. He helped us enjoy the Italian countryside in all its splendor. Delicious food, good wine, a challenging and rewarding hike in the Alpi Apuane, a bike ride around Lucca, an informal tour of an olive oil frantoio, a leisurely walk around Volterra to see the rich history of that town. How did this diverse combination of events come together? Through a few emails before we arrived and a discussion over the map after we were together, David was able to plan the perfect itinerary for our family. He took us places we couldn’t have found on our own, sharing his love of the area around every corner. He is a fun traveling companion, a knowledgeable guide, and an important part of our family vacation memories! We hired David to show us around for a couple of days while we were in Italy this past month. We gave him a couple of suggestions of what we wanted to see and do, David took them and ran with it. He arranged for private tours of four vineyards which were amazing and one of the highlights of our trip. His knowledge of the the area was second only to his wonderful ability to tell stories of his life experiences. We spent two days with David and enjoyed every minute of the experience. He is the best guide we had while we were in Italy. If you are planning a trip to Italy, I would highly recommend that you contact David. It's time well spent. David Beatty is a great guide for cities or countryside. Following his nose, he can locate parking, restaurants, and trails with expediency, always finding the best views. David offers good company with thoughtful attention to how far to climb and when to have a bite to eat. We tried to out-walk him, but it wasn’t possible. We saw beautiful views from a trail by the aqueduct in Lucca; we explored the city of Siena; we walked between the scenic villages of the Cinque Terre; and we climbed Mt. Nona to have a breathtaking view of it all. 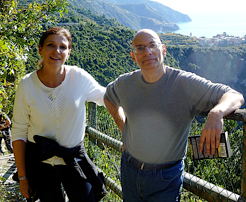 We highly recommend David to anyone who would like to get the most out of their trip to Italy. We enjoyed our experience immensely. 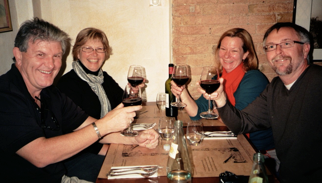 The two days we spent touring with David highlighted our stay in Tuscany. We exchanged a few emails in advance of our trip about possible itineraries, and firmed up plans upon arrival. David made great suggestions and was very flexible with last minute changes. He took us places we wouldn’t have heard about, let alone been able to find on our own. He was fun company, knowledgeable about the region, and found us great places to eat in interesting locales. 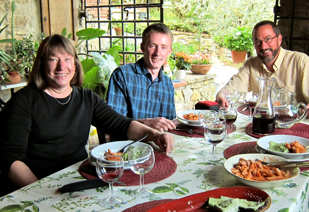 We particularly enjoyed the meal at the agriturismo on the Cinque Terre—one of the highlights of our trip—and the tour of the wine- and cheese-making facilities. “Follow Your Nose…” is very apropos to how David works with his customers to construct a satisfying itinerary. Good stories, too. If you’re looking for a companionable and knowledgeable guide to places and food tailored to your taste and interests, follow your nose to David – it’ll be a blast! David is patient, creative and clever. As I look back over an adventurous career in global diplomacy, I see that many of my most memorable travel moments were orchestrated by him. What others find difficult, or even frightening, David takes in stride. Don’t spend your holiday feeling fraught. Treat yourself to intelligent company. David knows Tuscany and Chianti! He’s been traveling the region for 15 years and knows his way around. I'd never been to Chianti before and had no idea how hilly it was, that it was so wooded and so beautiful. With all the head turning scenery going by, I was so happy that I wasn’t driving or navigating. I also love photography and if I'd been driving, I'd have missed a lot of photo ops. More practically, if you plan to taste or drink much wine—and who doesn’t while they’re in Chianti—you won’t want to be driving those narrow, windy roads! From my perspective the best way to see Tuscany or any part of Italy is with a knowledgeable driver and guide—like David—at the wheel. good fortune to have David Beatty as my guide and driver on a 4-day trip through Mount Sibillini National Park in Umbria. David has a wonderful knack for finding charming villages to explore, delightful accommodations, delicious food for our picnic lunches and evening meals, wonderful back roads to travel and magnificent mountains to climb. I doubt that I would have seen and done as much without David's helpful and friendly guidance. Best of all was a hike up M. Sibillia. An average hiker, I wasn’t sure I was up to the demands of the trail, but David was confidently reassuring. It was a wonderful adventure and a day to be remembered. I happily recommend David to look after travelers in Italy. He’s spent many years visiting Italy and knows it well. “Not that way, David, this way!" I learned long ago never to say this—or to think about saying this— to David Beatty. 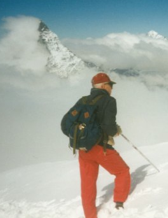 He possesses an internal GPS that is unerring, which is reassuring when you're in the Swiss Alps two-and-a-half miles above sea level...or on Mt. Shasta in a howling wind...or trying to catch the right train in Vienna's Sudbahnhof. I'd follow David's nose anywhere. 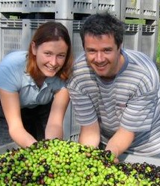 by spending a few days harvesting olives. David made this possible through his friends at Podere San Lorenzo. 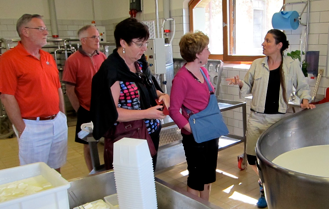 Together, we had a perfectly relaxing time in beautiful fall weather learning all the steps in making good olive oil. We picked the olives, took them to the frantoio, watched the pressing and then had the freshest, most delicious olive oil we’ve ever tasted on fresh slices of bread. Thank you, David! Without your good company (and restaurant selections), it wouldn’t have been half the experience. 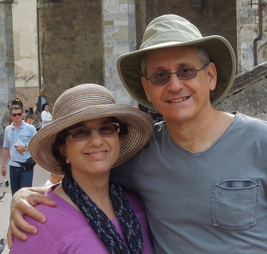 Relaxing and enjoying Italy with David is one of our fondest travel memories. serendipity, opening your mind to experiences you wouldn’t have noticed were there. On a trip to the island of Elba, I could have found Napoleon’s exile and the beaches by myself, but there is a lot in between. Because David said, “I wonder where that trail goes,” we found the highest spot on the island, and there wasn’t another soul there. Because David drove, we were all free to drink in the beauty, to see it all, safely and thoroughly. His antennae are great for hidden coves, spectacular views and friendly locals. He’s excellent company, and he can nose out the greatest restaurants! 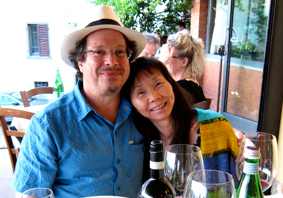 I had the pleasure of David’s company for three days in Tuscany. It was wonderful to let someone else do the driving so I didn’t have to think or focus on all the crazy directional signs and cars and trucks. He is relaxed and easygoing yet knowledgeable and very capable. It was great to be taken on the scenic byways between Lucca and the rifugio at Matanna. From there we hiked a 3-hour loop up over the summit of M. Nona and around the base of M. Procinto. The views were spectacular; we could see the Ligurian sea, and numerous hill towns and marble quarries far below. It was a hike I will never forget and one I would never have found on my own. 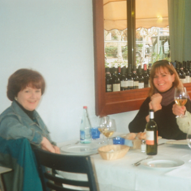 I recommend David Beatty’s guide services to anybody who wants to get more out of their time in Italy. 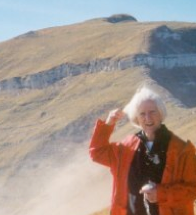 This spring I took my 85 year-old mother to Italy to some of the places she has always wanted to see. After a week of visiting cities we ended the trip in Tuscany, and it was truly relaxing to have David as our driver. I agree with all the other reviews, but what I can add is that David is great with seniors! He set just the right pace; he is soft-spoken but funny, adventurous but easy going. He is attentive without being overbearing. The highlight for my mother was when she wanted to take a swim in an organic pool, and David peeled off his shirt and dove in with her! She is still talking about that!